← Who cares about Ottawa interference in Venezuela’s election? Palestine debate symbolizes weakness of NDP internal democracy. The NDP leadership’s suppression of debate on the Palestine Resolutionexposed the hollow nature of its democracy. It also highlighted party insiders’ extreme deference to the dominant media. In another authoritarian anti-Palestinian move, during the 2015 federal election the NDP responded to Conservative party pressure by ousting as many as eight individuals from running or contesting nominations to be candidates because they defended Palestinian rights on social media. In the most high profile incident, Morgan Wheeldon was dismissed as the party’s candidate in a Nova Scotia riding because he accused Israel of committing war crimes in Gaza, when it killed 2,200 mostly civilians in the summer of 2014. Ousting a candidate elected by a riding association or suppressing debate on a widely endorsed resolution are stark examples of anti-Palestinian authoritarianism. But, a simple look at the polls highlights the party leadership’s democratic deficit on the subject. According to a 2017 poll, most NDP members have a negative or very negative view of the Israeli government and believe Canada is biased towards Israel. Even without the party taking up the issue, the Ekos poll of 1,000 Canadians found that 84% of NDP members are open to sanctioning Israel and 92% thought the Palestinian call for a boycott was reasonable. No issue better highlights the divide between members’ wishes and leadership actions. In short, the Palestine question symbolizes the weakness of NDP internal democracy. Various historic and current ties between the party brass and Israel lobby groups contributed to their suppressing debate on the Palestine Resolution, but while important, these relations aren’t the defining factor. Nor, is the party leadership’s hostility to members’ wishes on Palestine primarily ideological. Unlike his predecessor, party leader Jagmeet Singh isn’t anti-Palestinian. Rather, he is an ambitious politician operating in an anti-Palestinian political culture. The main force driving the suppression of debate on the Palestine Resolution was fear of mainstream media backlash. Party leaders believe (correctly) that the Palestine Resolution’s call for a ban on settlement products, which after a half-century of illegal occupation should be entirely uncontroversial, would elicit a corporate media backlash. Additionally, they are right to fear the dominant media’s capacity to shape attitudes, especially on issues far removed from people’s daily concerns. The dominant media can also be cynically manipulative. On the eve of the convention the Globe and Mail, probably at the prodding of the Centre for Israel and Jewish Affairs, published a story linking planned speaker Tamika Mallory to Louis Farrakhan. The story was titled “Supporter of homophobic, anti-Semitic U.S. religious leader to speak at NDP convention.” Even though Mallory was to speak as an organizer of last year’s Women’s March in Washington, half the story was about Palestine resolutions, which Mallory had nothing to do with. In fact, the convention organizers who invited her to speak confusingly renamed, deprioritized and then blocked the Palestine Resolution from being debated. To add insult to injury, most Palestine Resolution proponents would have preferred fewer convention speakers to give members more time to debate/determine party policy. Electorally focused NDP leaders are right to fear media backlash for challenging Canada’s anti-Palestinian status quo. But, at some point members need to ask themselves why devote time, money, votes, etc. to a social democratic party, especially at a level where they’ve never formed government, if it is unwilling to push the parameters of official debate to the left? While those receiving a salary from the organization may feel differently, expanding the range of ‘politically acceptable’ discussion is a central reason for a third party’s existence. In fact, the dominant media has condemned almost every progressive policy implemented by the left in the world over the past two centuries, from public schools, to banning child labour, pensions, shorter work days, daycare and more. Leaving aside the abandonment of real left wing policy at the core of the NDP’s ‘avoid media backlash at all costs’, this may not even be the best short-term electoral strategy. The media has vilified leftist (pro-Palestinian) Labour party leader Jeremy Corbyn, but he is well placed to be the next Prime Minister of Britain. On a lesser scale a similar dynamic is at play with Bernie Sanders in the US. On the specific question of the NDP’s challenge to Canadian complicity in Palestinian dispossession, the growth of online news and global television stations makes it easier than ever — if the party cared to try — to defend critical positions. 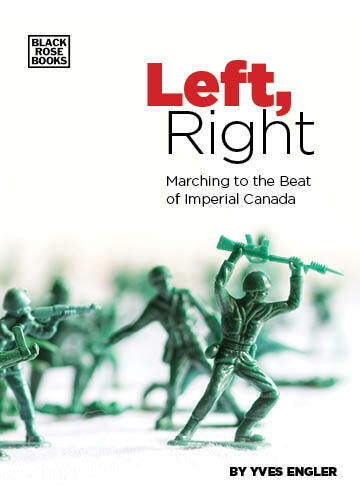 Additionally, the long-standing nature of the conflict, the growing number of Canadians from countries more sympathetic to Palestinians and decades of solidarity activism on the subject, mean there are many politically active people who are yearning for a challenge to the Liberal/Conservative status quo. They are likely to be galvanized by media attacks. NDP Palestine policy offers a sort of barometer by which to evaluate the party’s commitment to democracy and social justice. Right now the forecast doesn’t look good. Comments Off on Palestine debate symbolizes weakness of NDP internal democracy.